Senate Finance Committee Chairman Ron Wyden, D-Ore., made special mention of the research and development tax credit. 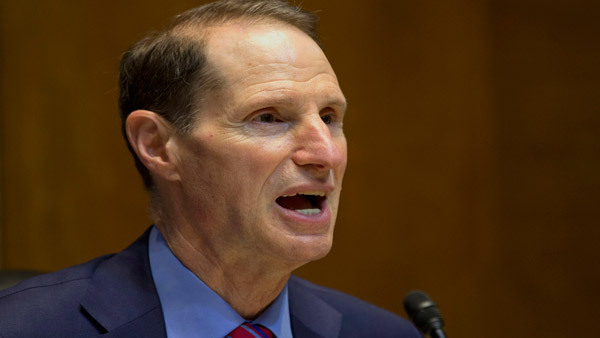 Senate Finance Committee Chairman Ron Wyden, D-Ore., said Wednesday that he plans to “move quickly” to extend a number of expiring tax provisions, including the research and development credit. A Senate Finance spokesperson told ThinkAdvisor that there were “no decisions yet” on which other tax provisions to extend. Wyden made his comments during a hearing to discuss President Barack Obama’s fiscal 2015 budget, which was released Tuesday, with Treasury Secretary Jacob Lew. Wyden said that “every one of our big economic challenges depends on sustaining and growing the middle class,” and that extending the research and development tax credit was just one way to do that. While Obama’s budget includes a proposal for business tax reform, Wyden said that a “broader approach” that “comprehensively overhauls our broken, dysfunctional code would do more to give all Americans, especially in the middle class, the opportunity to get ahead.” He said his committee would work “in a bipartisan way and with the administration closely” on comprehensive tax reform, though he questioned how to reach bipartisan “common ground” in order to move forward. As to the nation’s fiscal condition, Lew told members of the Senate Finance Committee that under the $3.9 trillion 2015 budget, the deficit will decline to less than 2% of GDP by 2024. “Debt held by the public as a share of the economy will stabilize in FY 2015 and decline steadily thereafter until the end of the forecast horizon to 69% of GDP in 2024,” he said. Both Sens. Rob Portman, R-Ohio, and ranking member Orrin Hatch, R-Utah, balked at the budget’s $1 trillion in new tax hikes. Lew added that myRA is a good idea because the nation’s “challenge in terms of retirement savings is getting people started and making [retirement savings] a habit.” Said Lew: “Too many people wait too long” to start saving. Check out SEC Gets 26% Funding Boost Under Obama’s 2015 Budget on ThinkAdvisor.